It is generally accepted that baroque music 'began'  if one can use such a term  in Italy, pointing particularly to Corelli as the originator of much that was to become commonplace in baroque musical forms. Italy remained backward however in terms of music-printing. Though Italy had pioneered the printing of lined music manuscript paper, actual scores were still printed using movable type, which was expensive, cumbersome, and too inflexible to reproduce clearly all the ties and other markings which are essential if the composer is to convey his intentions to performers with any degree of accuracy. Furthermore, printers were naturally unwilling to keep large blocks of type "standing", tying up a substantial investment in wood and lead. So after printing, the type was dismantled, and had to be re-set for any further reprints. 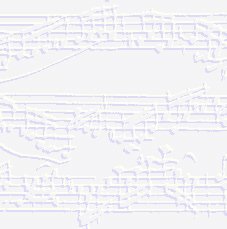 Far superior in terms of cost, durability and above all legibility was the process of engraving music onto copper plates, and this process was developed, not in Italy, but in London by John Walsh and in Amsterdam by Estienne Roger. Not only did these firms provide a printing service; they also acted as publishers and distributors. 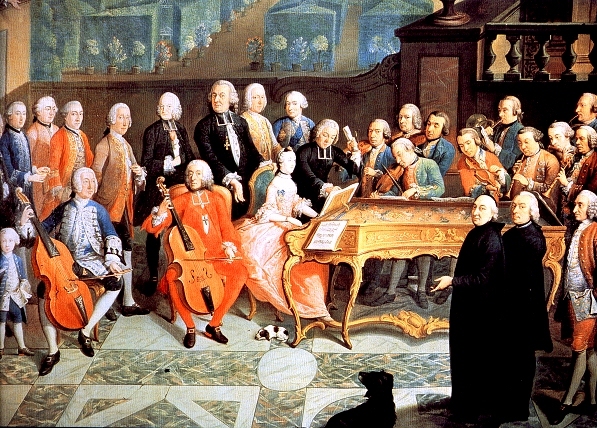 Whereas previously composers would need to find wealthy patrons to finance the printing of their scores then attend to their own distribution through personal friends and contacts, it now became possible for composers to have their scores printed and published at little or no cost to themselves, with the promise of royalties to follow. In 1711 Vivaldi, who had previously had two works printed in Italy, sent his third, L'estro armonico, directly to Roger in Amsterdam - with a few disparaging remarks about Italian printers in the foreword. Other composers would quickly follow. Albinoni for example, published his Oboe Concertos Op.7 with Roger in 1715. Thus the quantity and choice of printed and published editions available throughout Europe was vastly increased. Another interesting side-effect was to spread Italian music throughout northern Europe, at the same time encouraging Italian composers to write for a wider musical taste. Estienne Roger was perhaps the best-known, and almost certainly the best-organized printer/publisher of the baroque era. Born in 1665 or 1666 of a French Huguenot refugee family, Roger began his music printing business in Amsterdam in 1697, enhancing and widening his reputation mainly through the high quality of his copper engraving and processing, always remaining in the forefront of current printing techniques. Numbering among his regular clients such great baroque names as Vivaldi, Albinoni, Corelli, Alessandro Scarlatti, Lully, Lebègue, and Marin Marais, he provided not only some of Europe's highest quality printing, but also a well-organized Europe-wide distribution and information system. Roger numbered his editions (about 500) and the books in stock, and issued catalogs between 1698 and 1716 which were distributed abroad and reprinted in newspapers. He authorized agents in Rotterdam, Liège and Brussels, London, Cologne, Hamburg, Halle, Berlin and Leipzig to sell his editions. Thus Bach for example would have been able to browse the catalog, possibly review scores, and order any which interested him in his own city of Leipzig. Roger's publication in 1711 of Vivaldi's L'Estro armonico was to be the start of an important alliance which greatly expedited the dissemination of Vivaldi's music throughout Europe. L'estro armonico was followed by La stravaganza in 1714, Duo and Trio Sonatas Op 5 in 1716, the two collections of Concerti a 5 stromenti Op 6/7 in 1716-17, 1l cimento dell' armonia e dell'inventione containing the Four Seasons Concertos Op 8 in 1725, and La cetra Op 9 (dedicated to Emperor Charles VI) in 1727. The first complete set of Flute Concertos ever to be published appeared in 1728 as Op 10, and the String Concertos Op 11/12 followed in 1729. Estienne Roger died in 1722. Although his elder daughter was meant to have succeeded him in the business, she died in the same year, and the firm passed into the hands of Michel-Charles Le Cène who had married Roger's younger daughter. She in turn was to die a year later, but almost as active as his father-in-law, Le Cène continued to run the business energetically, adding to the company's catalog nearly 100 further editions of works by Geminiani, Locatelli, Handel, Quantz, Telemann, Tartini and others. These were issued jointly under the imprint of Roger & Le Cène. In 1743 Le Cène died and G. J. de la Coste took over the firm. Meanwhile in London, John Walsh was providing a differently focused, though equally go-ahead printing and publishing service. Indeed the commercial activities of these two printer/publisher entrepreneurs were closely paralleled. Born around the same time as Roger (1666? ), Walsh began as an instrument maker, turning to publishing in 1695. At his premises in Catherine Street, Strand, Walsh began printing on a scale hitherto unknown. A shrewd businessman, he published popular music and cheap music tutors, advertised, and offered subscription issues - even free copies - and serialized music collections. To reduce costs Walsh used pewter plates instead of copper, and to speed up the printing process he used punches instead of engraving. His editions opened with standard stock title pages. Newly arrived in London, Handel entrusted Walsh with the publication of Rinaldo in 1711, the same year in which Vivaldi had first printed with Roger. To diversify his offerings further, Walsh pirated Dutch editions of continental music such as the Corelli sonatas; however from 1716 onwards he maintained a cordial working relationship with Estienne Roger. Walsh was succeeded in the business by his son, John jr (1709-1766), who published all of Handel's later works, having astutely secured the exclusive rights for a period of 14 years beginning in 1739. It was not until the beginning of the following century that Germany and Italy would enter the music publishing scene in a substantial way, with the founding of such names as C F Peters in Leipzig (1800) and Ricordi in Italy (1808).